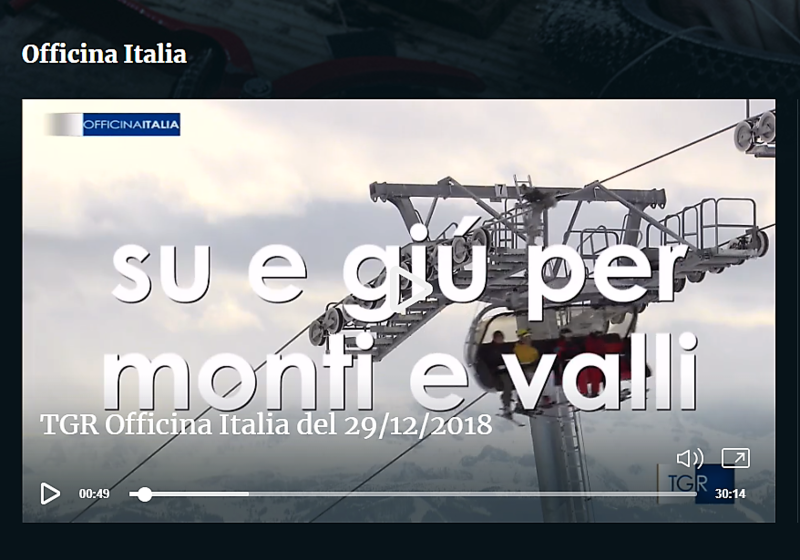 A long interview involving UNIMONT – Mountain University, Center of Excellence of the University of Milan based in Edolo in Valle Camonica, was broadcast as part of the TGR programme Officina Italia dedicated to mountain territories on Saturday, 29th December, 2018. Italy has many mountain areas, but these geographical areas are often considered marginal from a socio-economic point of view and are subject to a constant process of abandonment. However, the mountains can be competitive thanks to investment in human capital and the implementation of innovative development models.